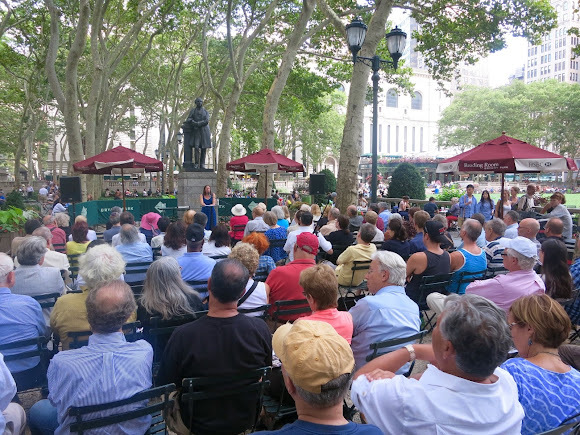 Last week Martha Hodes stopped by the Bryant Park Reading Room to join the Word for Word Non-Fiction Series, which focuses on lectures pertaining to the Civil War. While there are countless books on the Civil War and Lincoln, what makes Hodes' new book, Mourning Lincoln, distinct from other Civil War novels is that she looks at individual Americans' responses to the Assassination of President Lincoln. Hodes looks at diaries, letters, journals, and newspaper articles (among other things), which allows the reader to see both sides of the public's opinion towards Lincoln's death. Hodes compares Lincoln's death for those living in 1865 to what 9/11 was for many of us today. Mourning Lincoln is a must read for any Lincoln fan. BookClub discussion on Hamlet by William Shakespeare. Laugh-out-loud look into why we tiptoe around the very subject we should be celebrating – diversity. The first person to say "The Coloring Book" to the Reading Room Coordinator at the event will win a free copy of the book.